It is a sad day when someone tears out old tile and fixtures. The construction techniques today are subpar and pretty soon there will be no one left who knows how to do any of the proper building methods. I wish people who want new baths and kitchens would buy a new house instead of buying an old house and take every bit of integrity out of it. I am reminded of a meme that shows a picture of an elderly couple holding hands as they walk together towards the unknown. Trends will come and go, and opinions will vary, but quality speaks for itself. Suntrust Mortgage doesn’t tell me what’s what! 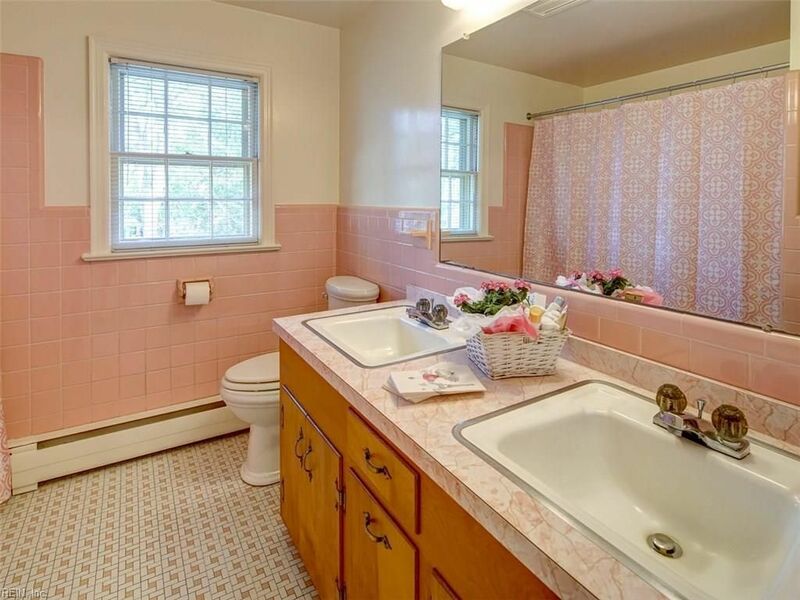 My dad’s place has not one but TWO gloriously pink-tiled bathrooms. 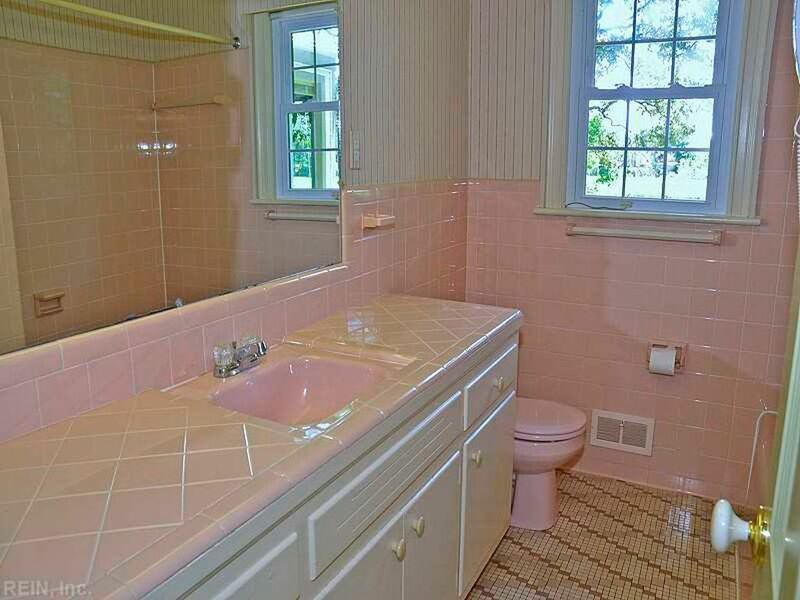 I need to get over there and photograph them, though I despair of ever getting shots that show just how gorgeous that swirly pink, glossy tile is in person. The master bath tile is a sort of strawberry pink marble swirl, and the half-bath downstairs is done in an even deeper raspberry swirl. If Dad ever loses his mind and remodels, I have dibs on that tile. 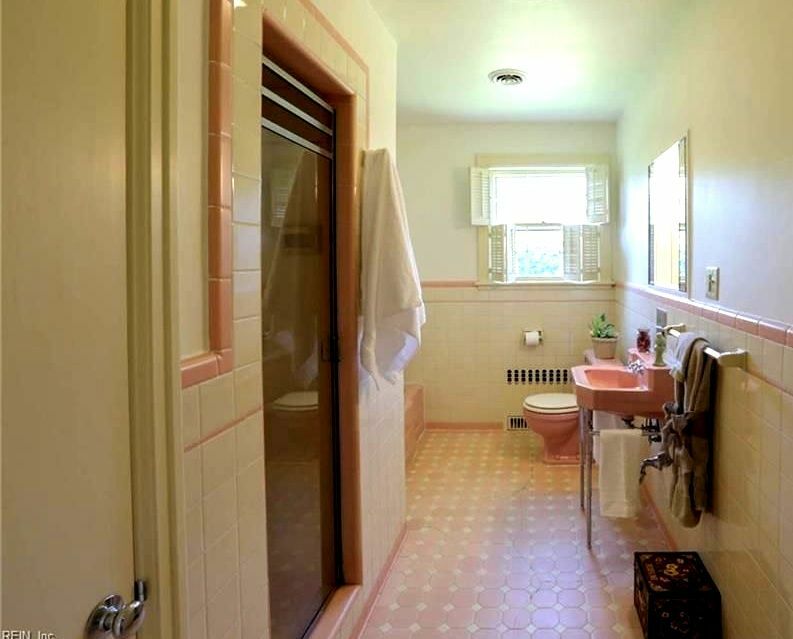 My grandparents had a pink bathroom. I think it was installed in the late 70s or early 80s. As a child I thought it was awesome, because (in my little girl opinion) pink is the best color! Way better than the blue bathroom we had at home. (The blue bathroom was a 1980 installation. 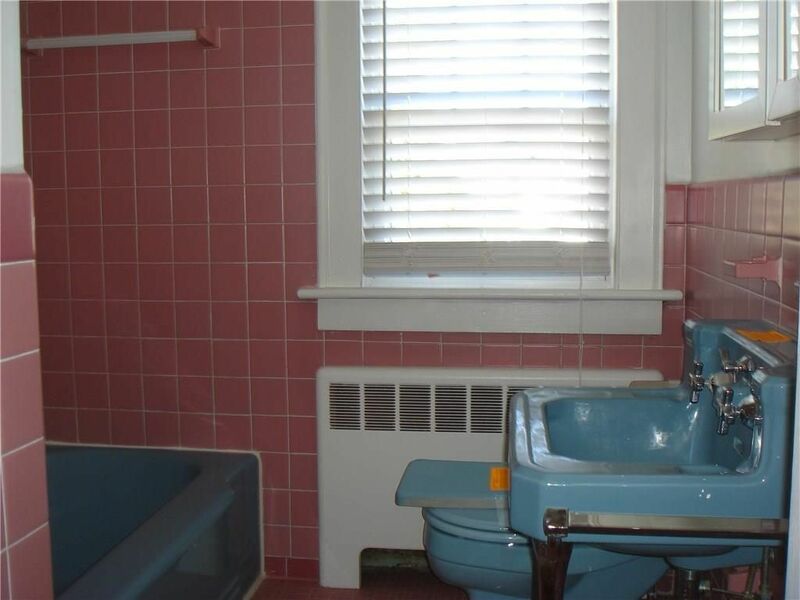 We had a blue tub and toilet and the sink/counter top was blue and white fake marble. We even had blue toilet paper back in the 80s). I can’t figure out a theme or what color towels to buy for my bathroom. It must have been so easy when the fixtures were a color other than off-white. Hope your finger is on the mend and congrats on the new car! I am saying amen. At the very least live with your house a year before making major changes. 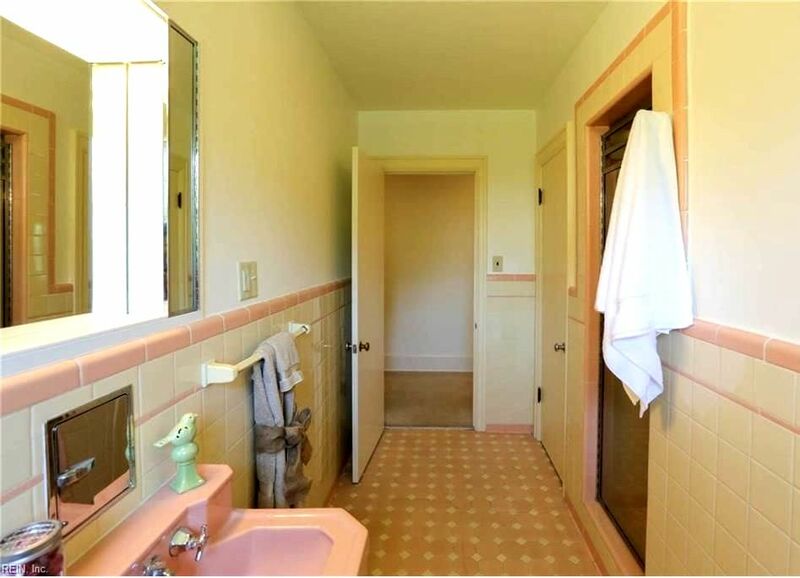 The pink (or green) bathroom can be beautiful with the right towels, accessories and maybe even wallpaper. My biggest gripe with the HGTV shows is the sledgehammer removal methods. It is training people that their quality features are not desirable and the only solution is to destroy them. At least if they are to be replaced salvage as much as possible and take it to Restore or Craigslist it to someone looking for materials. Original features can make a home super attractive to buyers, then can also make a place look old and dated. I think it’s each to their own in this case and sometimes it’s nice to have a fresh start and rip it all out. We move our clients internationally and often from the UK to US, the houses are so very different on both sides. They say 100 years is a long time in the USA and that in the UK it is not - let me tell you in the UL 100 miles is a very long way. Great work on the blog, keep it up always enjoy reading it . I have a wonderful 1950s poodle shower curtain just waiting for the day I have a pink tile bathroom!! With black tile trim. 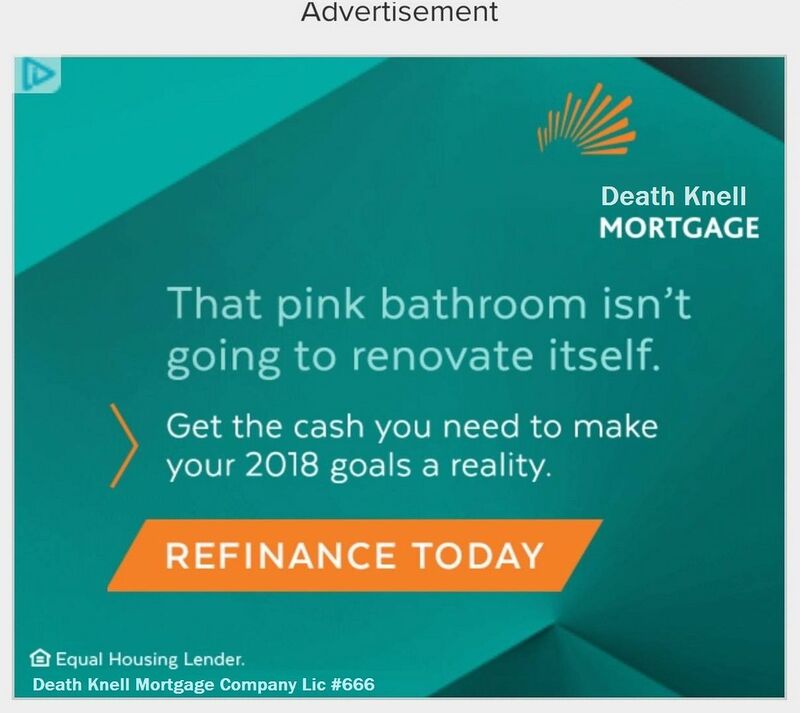 I’m sharing this blog to the Save the Pink Bathrooms fb page. The pictures you shared make my heart swell. Hello there and Greetings from Wales, UK. I stumbled upon your page whilst researching pink bathrooms, We are a house clearance and recycling company. We have come across a few and are re-purposing them right now in modern apartments. We aim to send less than 5% to landfill, sinks like this here I would hope we could re-use! 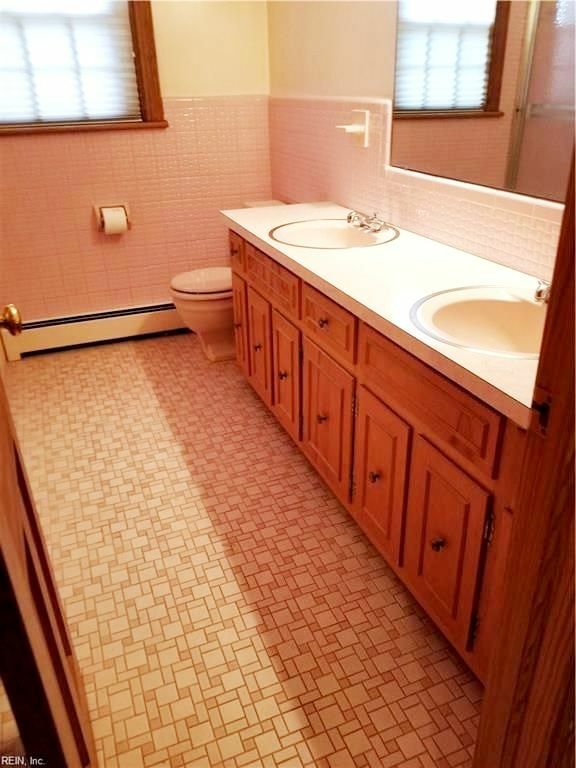 We have the tinest pink tiled bathroom next to our kitchen. Our house was built in 1915 but I think this bathroom was squeezed in in the 50s. This was a fun find! Thank you!! Prayers For a Quick Turning… What’s My Happy Color?